When I signed up for an ad agency internship with Apple Box Studios I thought I would learn which agency role or department I best fit for success. Instead, I learned that value and growth will come from hyperconnectivity as well as hyperdeveloped talent. Let me explain. My name is Molly Fallone. 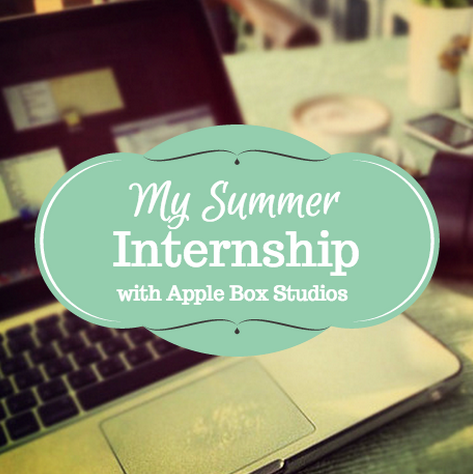 I’m a senior at Duquesne University studying Web Development and Integrated Marketing, and I just spent the last three months interning with Apple Box Studios. Throughout my college career, I’ve considered myself more of a hybrid marketing and design student fascinated by the art of video production. Although this path has had me a little confused as to which Duquesne department I belong in, it made me feel right at home at Apple Box. Not only does Apple Box design and develop communication tools, programs and advertising campaigns, it also offers video production, social media and branding services. All of which, I had the opportunity to embrace. I was excited, but nervous when I started at the Box, because I have zero to no agency experience. However, the nerves were quick to go away as the team welcomed me with smiles, my own desk (and phone! ), a content marketing project (one of my new fav topics), as well as blueprinting assignments. As my first few weeks rolled on, I quickly noticed the speedier pace of agency life – something I hadn’t been used to in my other internships. I also found with such a pace, problem solving and collaboration are crucial and constant. I felt lucky however, to learn from the team how to turn problems into opportunities for creating strong products and happy clients. I’m grateful I had the opportunity to jump inside the Apple Box this summer. Working and learning from the team was a rewarding, exciting and inspiring experience. It made me realize it’s ok to be interested in all aspects of marketing, design and production. In fact, most of the Apple Box team is just that. This professional culture makes for a passionate, collaborative team with hyper-developed talent. Thank you team Apple Box, for making it a great summer at the Box and for feeding and fueling my hybrid marketing and production taste buds.